Snickerdoodle conjurs up images of delicious cookies… a cookie I happen to enjoy. 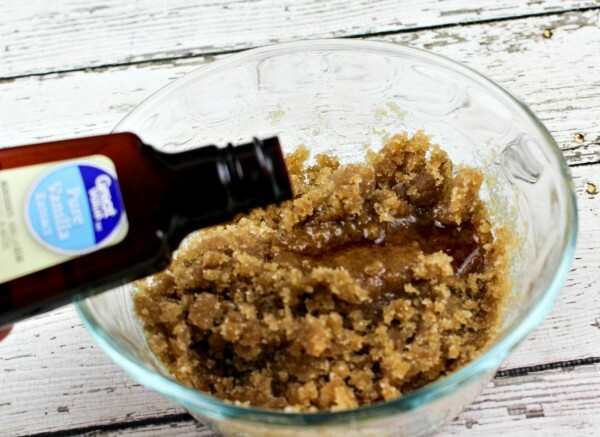 The next best thing to a snickerdoodle cookie is a DIY lip scrub. I love making homemade scrubs, but haven’t made one specifically for the lips before. 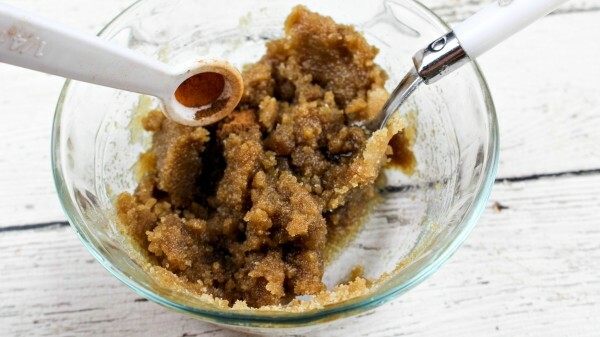 This DIY Snickerdoodle Lip Scrub will keep your lips soft and kissable all winter long and tastes as good as it sounds. Plus, it will make a great gift idea. This recipe will fill 3 small lip balm containers — perfect stocking stuffers! 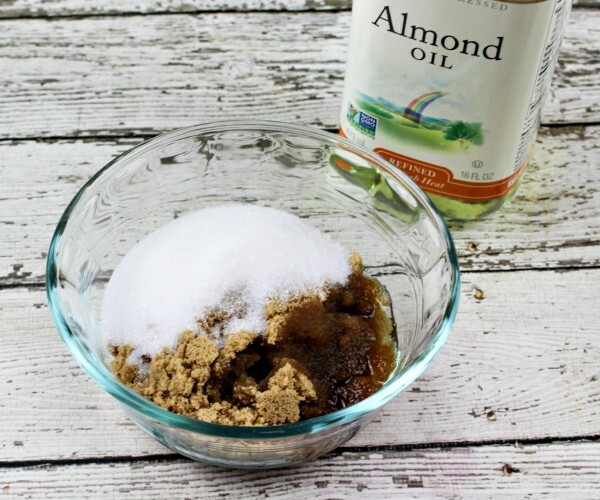 In a small bowl, add both sugars and the almond oil. Mix well. Add the cinnamon, vanilla and warm cinnamon graham flavoring (optional). Stir to blend all the flavors. Transfer to an airtight container(s) and store up to 3 months. 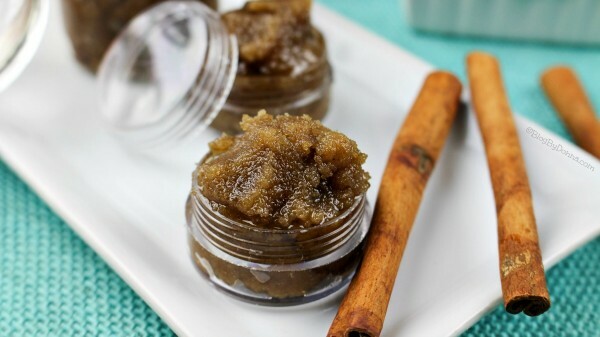 Wet your lips with warm water and apply the snickerdoodle sugar lip scrub. Enjoy the sweet aroma of cinnamon and vanilla! 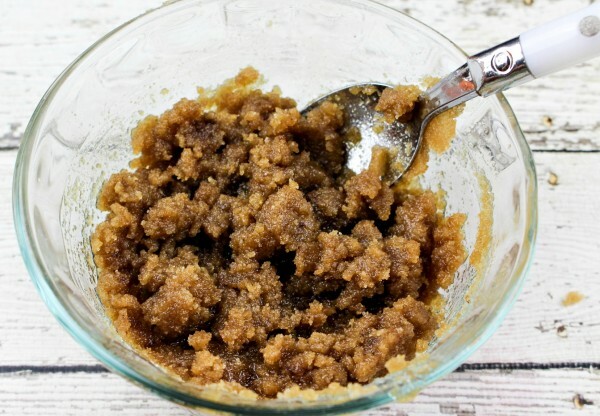 (It tastes just like a snickerdoodle cookie so you might be tempted to lick your lips)! Gently rub your lips in a circular motion. 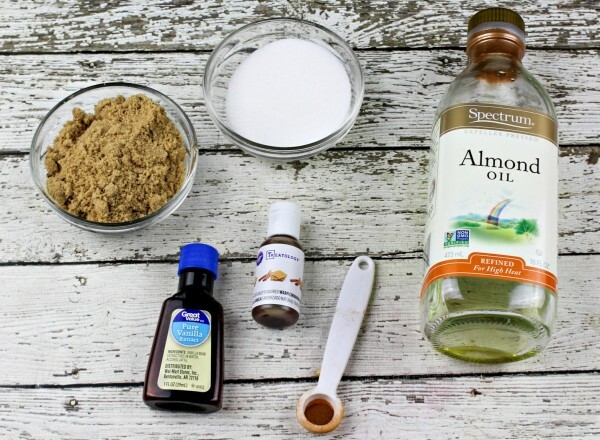 Both sugars are great for exfoliating and the almond oil helps plump and moisturize your lips. Apply your favorite lip balm. 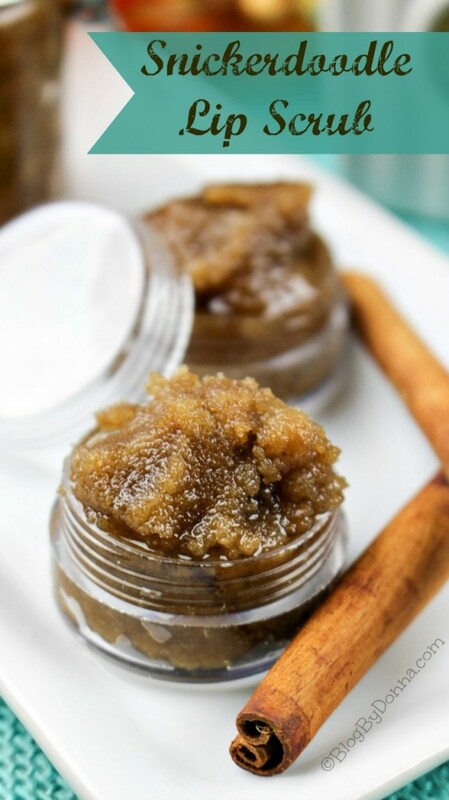 As you can see, this lip scrub is really easy to make and you can feel good knowing your not putting harsh chemicals or ingredients you can’t even pronounce on your lips. Your lips will love you for it! 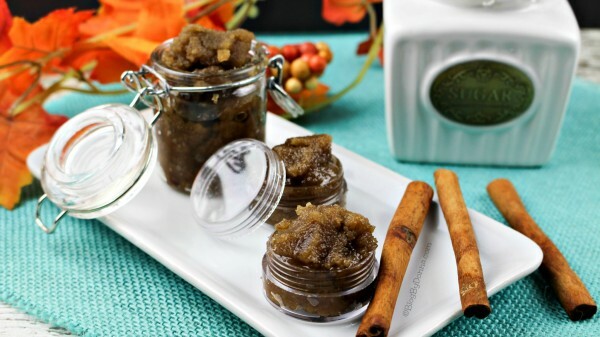 If you’re looking for more DIY body scrubs, check out this Cinnamon Chai Sugar Scrub or this DIY Brown Sugar Scrub. Some of the links above may be affiliate links, if you click and buy something, I’ll earn some money, so thank you.